Croy and River, Hailey, Idaho. 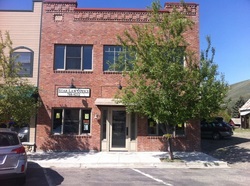 Star Law Office PLLC, located in Hailey, Idaho is a full service general law practice servicing the Wood River Valley and surrounding communities. With close proximity to Sun Valley, Ketchum, Hailey, Shoshone, Gooding, Carey, Fairfield and Twin Falls, Star Law Office provides clients with legal guidance in a professional and supportive manner. Star Law Office delivers the high quality legal representation found in large cities with attention to the discretion and care needed in our unique community pertaining to legal matters. Please call 208.788.9232 or Email Star Law Office.